In Part 1 of this tutorial we discussed ways of making animated banner ads with your favourite software. Part 2 discusses how to get these ads online and make sure your target market sees them – so read on! One of the largest online advertising networks is definitely Google AdWords. AdWords automatically displays different types of ads, such as text, video, animated banner ads or still images on websites. Google doesn’t just display random animated banner ads on websites, but instead tries to match the banner ads to the website’s specific audience and content. If you are a website owner you can make money by letting Google display animated banner ads on your website. If you represent a business, you can create animated banner ads or other types of ads. You can then pay Google to display your animated banner ads automatically on websites that are relevant to the product or service that you sell – a win-win situation. Google AdWords works on a bidding system. You can choose how much you are willing to pay each time that someone clicks on your animated banner ads. In advertising terms this is referred to as CPC or Cost Per Click. You compete against other advertisers for the same ad space on a website. This article explains the bidding process in more detail. 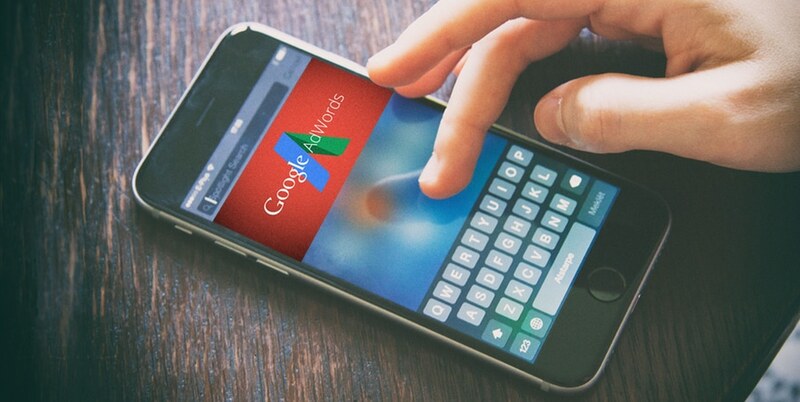 Signing up for Google AdWords as an advertiser is relatively easy. Step 3: Click on Campaigns -> All online Campaigns -> New Campaign. Here you can specify the name of your campaign and the devices and networks that you want your animated banner ads to be shown on. You can also choose a daily budget and starting bid for your campaign. Step 4: You can now create different animated banner ads, group them together and give them names, destination URLs, descriptions and keywords. Step 5: Go to the “Ad group bids” section and specify the maximum amount that you want to bid on your keywords. Save the ad group and wait for Google to approve your animated banner ad before it will display on relevant websites. Another popular way of advertising is on Facebook. Facebook recently started allowing animated banner ads in GIF format. You can read more about this decision here. To advertise on Facebook you would need to create a Facebook business page. One advantage of advertising on Facebook is the amount of control that you have over your target audience. Facebook owns very detailed information about each of its users – users often fill in their gender, birthday, relationship status, current location etc. When advertising on Facebook you are able to specify in detail who you want your animated banner ad to be shown to. For example, if you have a wedding dress business you can choose to advertise only to “Females” who are “Engaged”. Demographic targeting has also recently become available in AdWords. AdMob is also owned by Google and is an advertising network focused on serving ads on mobile websites and phone and tablet applications. The app publisher receives money based on CPM (Cost-per-thousand-impressions) or CPC (cost-per-click), whichever is higher. For the advertiser this means that you will either pay based on how many times your animated banner ads were shown or how many times your ads were clicked on, depending on your bid. This is often how free mobile apps make money – they get money from advertisers. Sometimes they allow the app user to buy a “premium” version of the app which often simply means that all ads are removed. Other popular advertising networks are Media.net, BuySellAds and Adblade. In online advertising, A/B testing is a technique where different versions of animated banner ads or text ad copy is presented to viewers in order to determine which version is more successful. This can be incredibly useful in getting to know your target audience better. Google AdWords has a built-in A/B testing tool that can be very convenient if you’re struggling to decide between two designs for your animated banner ad. Google AdWords allows you to compare bids, keywords and ad groups. Decide what aspect of your ad you want to test and set up your experiment. Read how to set up A/B testing and experiments here. Retargeting or remarketing is a powerful advertising technique that can help to increase your sales. When a user visits your website, a cookie is saved on their computer. When they navigate away from your website, the cookie will let the retargeting provider know and your animated banner ad might be shown to them on other websites that they are visiting. In this way, only users who have previously shown an interest in your products or services will be targeted. This increases the chance of conversion, since the user is probably already familiar with your brand. You can read more about retargeting here. Have a strong, clearly visible call-to-action that instructs the user what to do e.g. “Buy now” or “Find out more”. Make sure your design is simple and uncluttered and don’t overdo animation. Keep the file size small so that the ad loads before the user scrolls down and miss it. page and not just to the home page. If you are using AdWords, make sure your animated banner ads adhere to Google’s guidelines. Don’t be afraid to think outside the box when creating animated banner ads. Adding interactive elements to animated banner ads could make your brand stand out and create a lasting impression. Take a look at this collection of exceptional interactive and animated banner ads for inspiration.